Do’s and Don’ts when buying a Used Car Before buying a used car, it’s important to do your research and know all the facts. Here goes: Do’s and Don’ts when buying a Used Car. 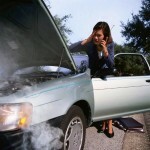 How To Jump Start a Car Need to jump start a car and don’t know how? Take a look at our simple 3 steps info-graphic guide. How to Keep Your Vehicle from Being Towed? How to Act in a Car Lockout Emergency Situation? What is Private Property Towing? Why Your Car Won’t Start? When Is It Time To Change Tires? Should I Tow My Vehicle? How To Choose a Tow Vehicle? What to Do When You Are Out of Gas in The Middle of Nowhere? How Can a Tow Company Help You? What’s The Difference Between Tow Dolly and Flatbed Towing?